There are always unexpected hazards that might happen to a household, which is why home security systems are highly emphasized today as a preventive measure. Although this is another expense on the part of the homeowner, getting one ensures the overall safety of the house and residents. With many providers on the market that offer security packages, it is vital that you choose a reliable provider who is capable of meeting your standards. CCTV cameras have been around for decades as an effective surveillance tool. With the improvements of technology and relentless modifications, the current options for this surveillance method have been classified to different types and functions. 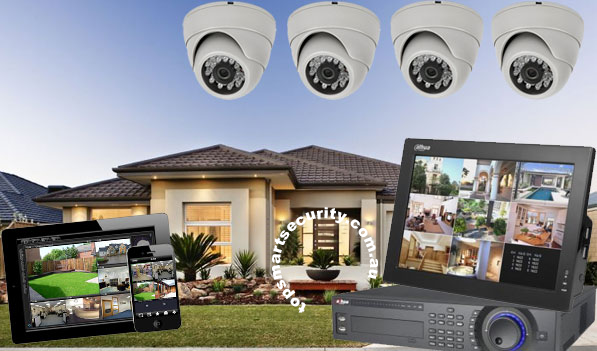 At Complete Alarms, you would be assisted by experienced people in finding out what CCTV system is best for your household. Having a professional assist you in your security shopping will help you find the ideal package with all the features that you want to have. There are a lot of things you can avoid if you install a CCTV surveillance system in your house. One would be burglary incidents that are very common among houses that appear lenient in security. House breaks for any type of reason can also be prevented as well. In very rare occasions, you can also detect kidnapping and stalking intentions by carefully observing footages of everything that passes through the house especially in wee hours. For advanced systems that allow online remote access, you get to watch out for the house even when you are far away. As long as your camera system is properly set-up, there is no need to worry about your home’s safety. If you are worried about the cost of getting the system, there are security providers that would be able to provide you with a customized package that fits your budget without sacrificing any of your needed functions. Complete Alarms has different CCTV system packages that are pre-designed to match common household settings. Aside from the certified operational logistics, the company also does all the installations and software set-up. Since it is necessary to maintain the aesthetics of your home, the technical staff would know how to install the system neatly. All you need to do is provide the funding and Complete Alarms will do the rest. Find affordable protection for your home with a hassle-free security purchase that is personalized for your entire family.